Must is obtained from a thorough cook of grape juice before fermentation in a stainless steel boiler. 100% grape must without fermentation, 0% alcohol. It is ideal for seasoning, desserts, ice cream and sweet & sour stews as well as for garnish dishes. 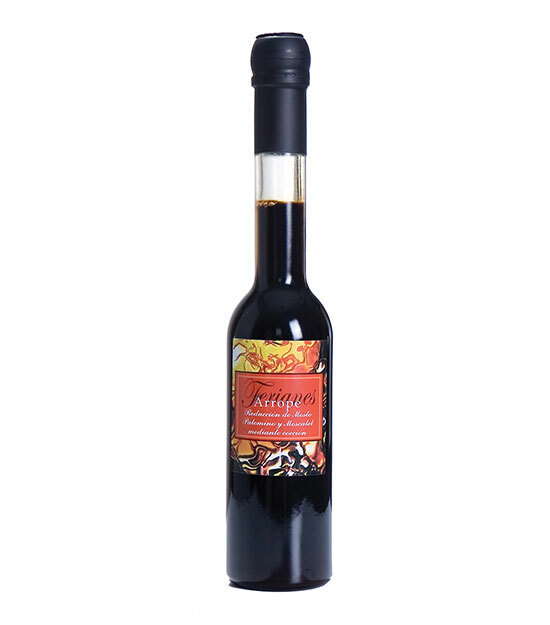 It enriches any sauce, giving a touch of colour and overall sweet and sour taste. Besides, just a few drop condiment and enhance any dish.